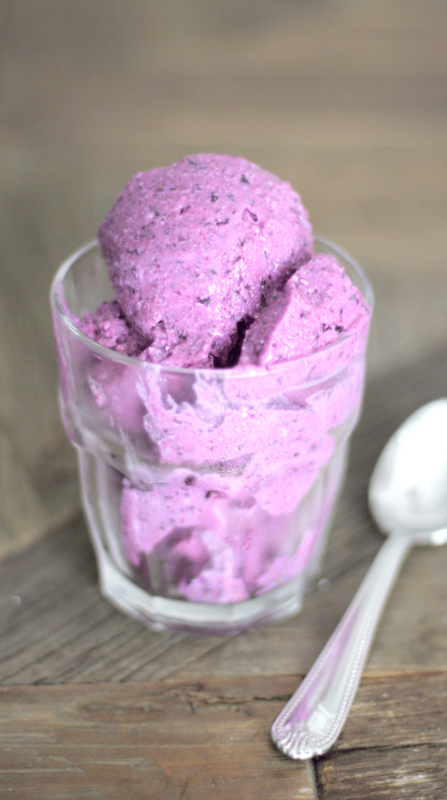 Beat the heat with these 14 healthy ice cream recipes! From vanilla and chocolate to red velvet cake and matcha, you’ll be sure to find the flavor for you. These ice cream recipes are so sweet and creamy, it’s hard to believe they’re totally guilt-free. 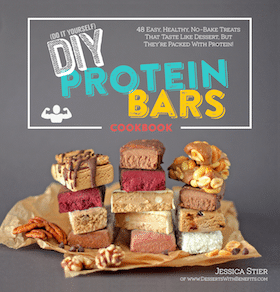 They’re refined sugar free, low carb, low fat, and high protein, with some vegan options in there too! Are you drooling? Well wipe your face off and get in the kitchen, because here are 14 of the most popular healthy ice cream recipes that I’ve made over the years. Each and every one of them are nice and sweet desserts that you’d never know are healthy, all natural and good for you. 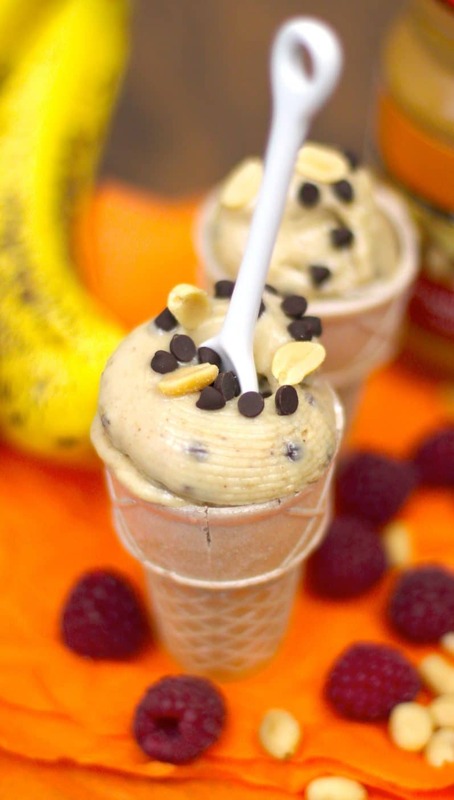 Healthy Chunky Monkey Ice Cream… but without the “chunky” part! This 5-ingredient ice cream has it all — full on flavor with decadent chocolate, rich peanut butter and naturally sweet bananas, an amazing texture that is just as creamy and velvety smooth as store-bought ice cream… oh, and it’s secretly healthy, too. In a small bowl, whisk together the almond milk, peanut flour, vanilla extract, sweetener, and salt. Pour mixture into a silicone ice cube mold and freeze until solid. Thaw the frozen peanut butter cubes and frozen banana chunks for ~15 minutes. Add all of the ingredients except the chocolate chips to a food processor and process until smooth, scraping down the sides of the bowl when necessary. When smooth, add the chocolate chips and pulse until just broken up. Serve with a dash of cinnamon, some chopped peanuts, sliced bananas, or spoons alone! Enjoy. When you’re in need of a hit of caffeine, but you’re also in the mood for some dessert, reach for this Iced Coffee Ice Cream! ☕️ Made without heavy cream, artificial creamers, sugar and high-fructose corn syrup, this sweet and creamy treat will hit the spot every time. You can have it for breakfast and dessert. Yes, this ice cream is breakfast-approved! In a large bowl, stir together the cottage cheese, espresso, stevia extract, and vanilla extract. Scoop mixture into a silicone ice cube mold and freeze until solid. Thaw the frozen cubes for ~30 minutes. Add the frozen cubes to a food processor and process until smooth, scraping down the sides of the bowl when necessary. Serve with mini chocolate chips or spoons alone. Enjoy! 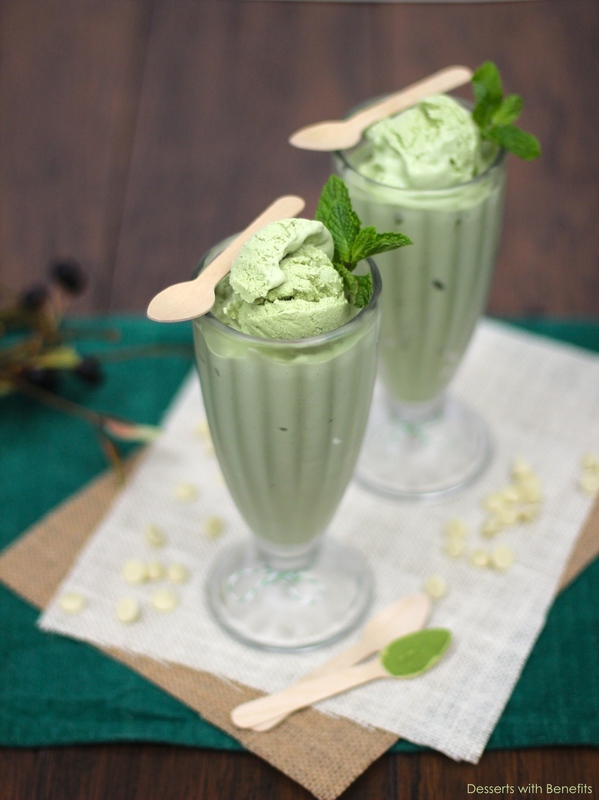 This delicious, sweet and creamy Healthy Matcha Green Tea Ice Cream is all natural, secretly healthy and totally good for you. You’d never know this sweet dessert is low calorie, low fat, low carb, sugar free and packed with protein! This Healthy Nutella Frozen Yogurt is creamy, rich, nutty, chocolatey and… healthy? Oh yes. No heavy cream, refined sugar or artificial ingredients here! This delicious fro yo is THE definition of a nutritionally balanced, guilt-free snack. Vanilla Ice Cream is the most popular ice cream flavor. It’s an all-time classic that everyone seems to reach for because it’s rich, it’s creamy, it’s sweet, and packed with vanilla flavor. Regular vanilla ice cream contains ~350-600 calories per cup, but not anymore! 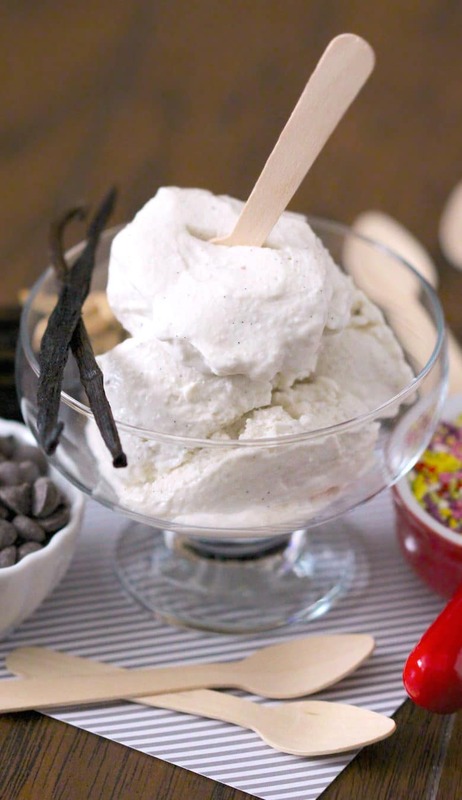 This Healthy Homemade Vanilla Bean Ice Cream recipe is soft and creamy (without the heavy cream), sweet and satisfying (without refined sugar and high-fructose corn syrup), and speckled with real vanilla beans. In a large bowl, stir together the cottage cheese, stevia extract, and vanilla paste. Scoop mixture into a silicone ice cube mold and freeze until solid. Thaw the frozen cubes for ~20 minutes. Serve with mini chocolate chips, natural rainbow sprinkles, or spoons alone! Enjoy. Rich, velvety, creamy, chocolatey decadent… what more could you ask for in a Red Velvet Cheesecake Ice Cream? I guess a little side of “healthy” wouldn’t hurt, right? This ice cream is all natural (no artificial food dyes), sugar free, low carb and high protein. With a secret ingredient too. This is the perfect recipe for when you are in need of some (guilt-free) indulgence! 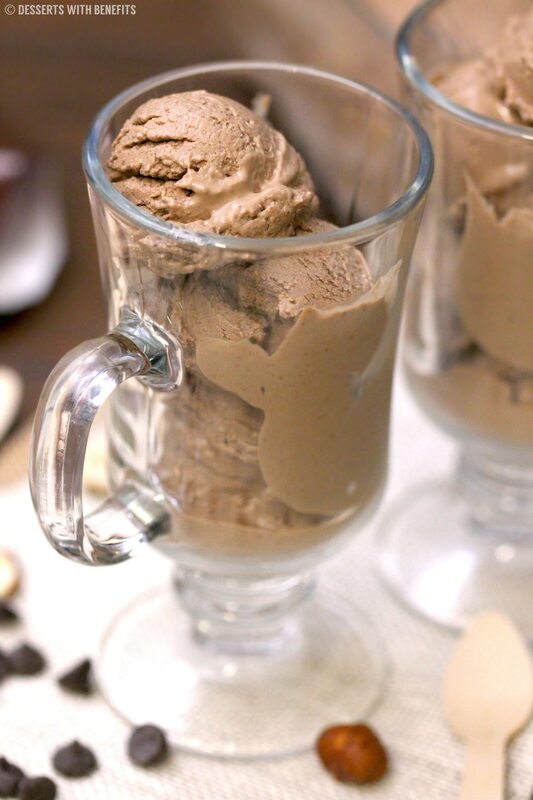 This Chocolate Ice Cream is made with only 5 ingredients! I’m pretty sure it’s the healthiest (and easiest) dessert you can possibly make. It’s great as a dessert, midday snack, and even breakfast. You’ll be coming back for more! Serve with chocolate chips or spoons alone! Enjoy. This Healthy Coconut Frozen Yogurt is super smooth and creamy, incredibly flavorful and sweet, and secretly healthy and guilt-free. 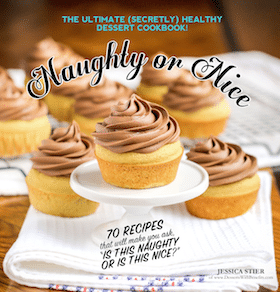 So sweeten your day the healthy way, no need for the heavy cream, eggs, sugar and additives! Get ready for the creamiest, dreamiest, SO-freaking-addicting-how-could-this-possibly-be-good-for-me-you-must-be-lying ice cream recipe — this Healthy Hazelnut Mocha Ice Cream. This ice cream has all the decadence of cinnamon rolls, all the flavor of creamy vanilla ice cream, and all the nutrition of a healthy, hearty breakfast. One bite and you’ll think you’re dreaming — it tastes so sinful, how could it possibly be healthy?! Oh, but it is. Trust me. It’s just as tasty as the store-bought stuff, except it’s actually filling and good for you. You’d never know it’s low calorie, low fat, sugar free, gluten free and high protein because it sure doesn’t taste like it. In a large bowl, stir together all of the ingredients. Scoop mixture into a silicone ice cube mold and freeze until solid. Add the frozen cubes to a food processor and process until smooth, scraping down the sides of the bowl when necessary. Enjoy! Healthy Cheesecake Ice Cream — all the flavor of Cheesecake but in the form of Ice Cream, and without all the excess calories, fat and sugar! SO thick. SO rich. SO decadent. SO… healthy? Oh yes. 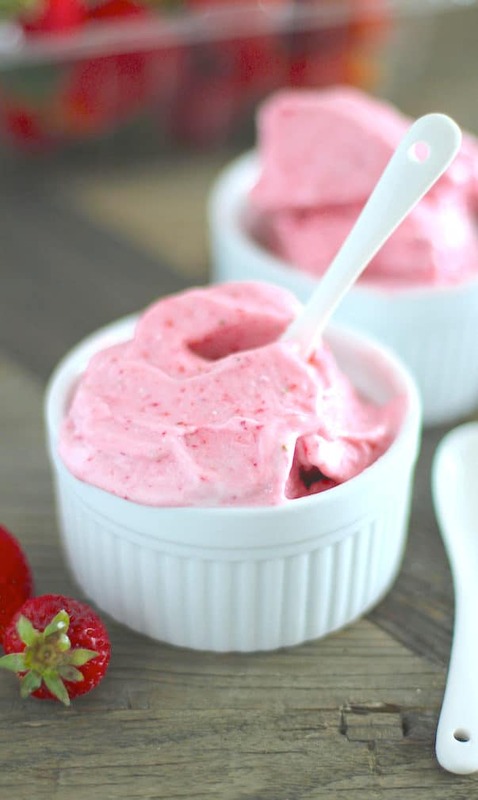 This Healthy Strawberries and Cream Ice Cream is flavorful, creamy and rich, but without the egg yolks and refined white sugar. It’s so good, you’d never know it’s low fat, low calorie, low carb, sugar free and high protein. Seriously! 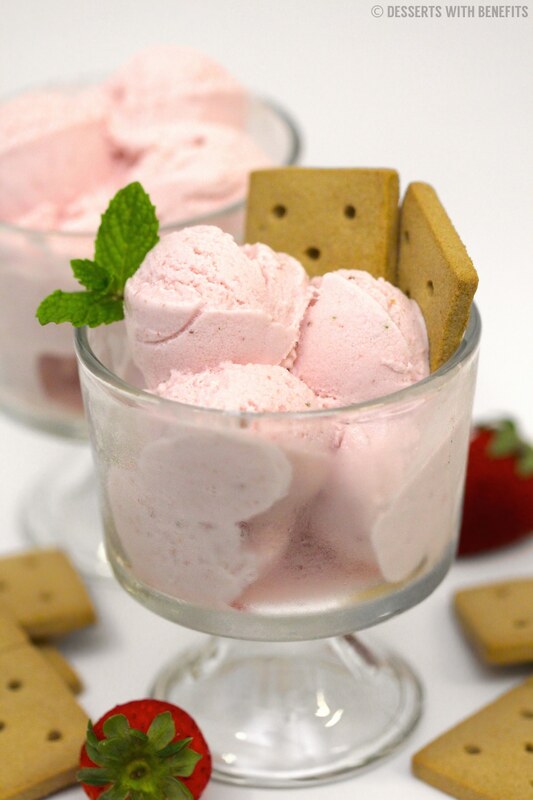 PS: If you’re looking for a smaller batch recipe, try out this Strawberries and Cream Ice Cream! Just 75 calories, 1.4g fat, 7g carbs and 8.7g protein. In a large bowl, stir together the cottage cheese, almond milk, and sweetener. Scoop mixture into a silicone ice cube mold and freeze until solid. Thaw the frozen cubes for ~20 minutes and the frozen strawberries for ~10 minutes. Add all of the ingredients to a food processor and process until smooth, scraping down the sides of the bowl when necessary. Serve with whipped cream, fresh strawberries, or spoons alone! Enjoy. PPS: If you’re looking for a Chocolate-Covered Strawberry Ice Cream, try that out too! Just 135 calories, 2.8g fat, 16g carbs and 13.5g protein. In a large bowl, stir together the cottage cheese, almond milk, stevia extract, and cocoa powder. Scoop mixture into a silicone ice cube mold and freeze until solid. Thaw the frozen cubes and frozen strawberries for ~15 minutes. 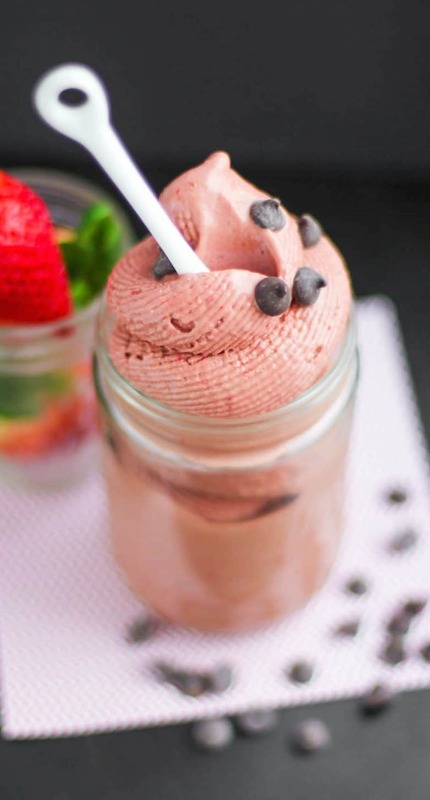 Serve with chocolate chips, fresh strawberries, or spoons alone! Enjoy. Tiramisu is the classic Italian no-bake dessert made with Ladyfingers, coffee ☕️, rum, a mascarpone cream filling and a cocoa topping. Sounds like pure deliciousness, am I right? Yes, I’m right. Can you guess what else is delicious? The same dessert transformed into ice cream! Either way, they’re both no-bake and the epitome of decadence. In a large bowl, stir together the yogurt, mascarpone, espresso, and stevia extract. Scoop mixture into a silicone ice cube mold and freeze until solid. Add the cubes to a food processor and process until smooth, scraping down the sides of the bowl when necessary. Dust the cocoa powder on top of the ice cream. Enjoy! In a large bowl, stir together the cottage cheese, lemon juice, and stevia extract. Scoop mixture into a silicone ice cube mold and freeze until solid. Thaw the frozen cubes for ~20 minutes and the frozen blueberries for ~10 minutes. This is awesome!! Thank you!! Hey there Jess! I have been following your Desserts with Benefits blog for a LONG time now. I just noticed the redesign of your blog, it looks great! I had no idea you resided in Texas, did you recently move to Texas? I am a new transplant to Austin, so that’s why I was wondering. 🙂 Also, LOVE the tattoo and the meaning behind it. I have a blue rose tattoo on my right shoulder blade that I got when I was 17. Blue roses symbolize something that is very difficult, rare, or impossible to achieve. I wanted it there as a reminder that nothing is impossible if you work hard enough. Let me know if you’re anywhere near Austin and maybe we could meet up sometime for a blogger buddy get-together! PS: Thank you so much for commenting and letting me know the meaning behind a blue rose. I chose blue mainly because it’s my favorite color, but now it seems even more fitting. We’re matching tattoo buddies now! I made the chunky monkey ice cream, it was really good I used two tbs of erythritol instead of a packed sweetener. I put it in a food processor and it turned out a little thinner than ice cream but it was delicious! Thanks for the recipes! I just got an ice cream maker with a compressor so looking forward to trying all of these. I had the cuisinart machine previously that you had to freeze the container, going to love the compressor built in. Starting with your vanilla tonight but tossing in some Heath Bar chunks (I’ll run an extra mile tomorrow). 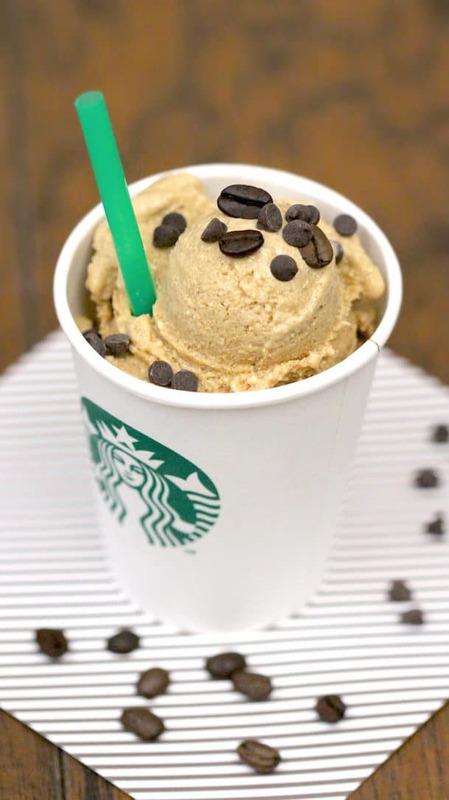 I have a challenge, one of my favorite retail ice creams is Starbucks Mud Pie. Haven’t had it in years but if you can find it and come up with a low(er) fat version, you’d be even more amazing. Thanks again for the recipes and hope TX summer is treating you well. 99 here in DC today! I’ve never heard of an ice cream compressor so I just googled it and OH MY GOODNESS! Just added it to my wishlist. Coolest invention ever. 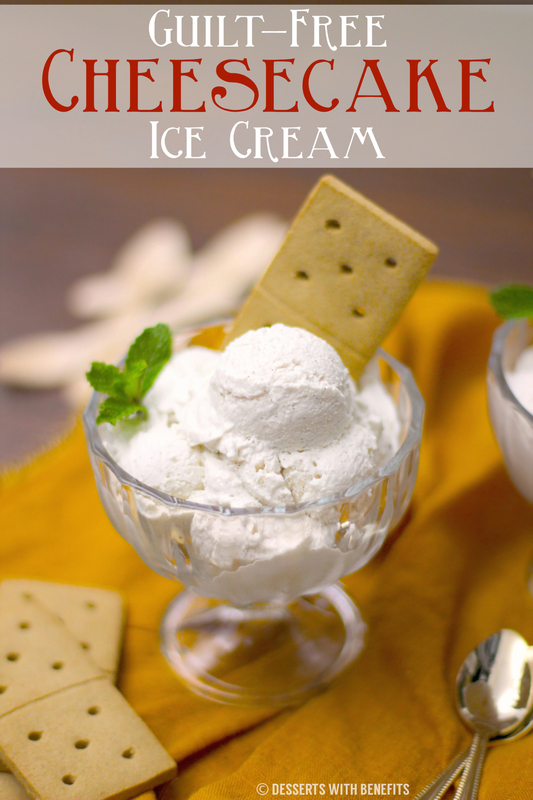 Hope you like my Vanilla Ice Cream recipe!! I’m trying to get to your vanilla bean ice cream but it sends me to a Nutella energy bites recipe, can you help me out please? I tried looking at any of the recipes and all the links are broken. Any chance they will be fixed soon? I still make the recipes from time to time to this day, so I’ll try to find a way to repost them soon! Thanks for bringing this to my attention! I will surely try these recipies. Do you have recipies to lower bad cholesterol? I just had mine tested and it is to high. If you’re trying to lower LDL, it takes a lot more than a few recipes. I would recommend meeting with a Registered Dietician to talk about your current diet and what changes you can make. Hi Jess, just wondering if these recipes will work in an ice cream maker rather than blending and freezing? I have one of the ones that you have eaten to Pre freeze the ice cream bowl and Pre chill the ingredient mix. Thanks so much, they look amazing! 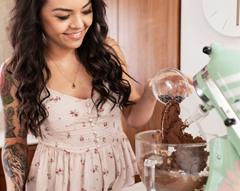 Can you refreeze after blitzing in the food processor? I looked these over quickly and seem interesting but is there any recipes for a clean icecream that is also lower in fat and carbs? With clean i mean no artificial sweeteners or strange ingredients. Using cottage cheese instead of cream seems interesting. All of these recipes are pretty low in fat and low in carbs… especially compared to store-bought ice creams! Wild it be possible to substitute ricotta for cottage cheese?